Alberto and Margarida served as TechnoServe Fellows in Mozambique from 2014 to 2015. After consulting for PricewaterhouseCoopers in Brazil, the couple decided to further their careers in business and development. Current Organization: Alberto has joined IESE Business School’s MBA program in Barcelona, and Margarida is a consultant for TechnoServe in Colombia and Peru. Why did you both apply to the Fellows Program? Margarida and Alberto's Fellows experience in three words: life-changing, rewarding, fun. When we decided to apply to the TechnoServe Fellows Program we were both working as consultants at PricewaterhouseCoopers in Brazil, and we had just gotten engaged. We were at a turning point in our lives and reflecting on the future ahead of us, not only as a couple but also in terms of the professionals we wanted to become. We were longing for an experience where our skills as consultants would be better channeled into a meaningful purpose. As soon as we were offered the opportunity to join the FinAgro team as TechnoServe Fellows, we said goodbye to Brazil and set off for Mozambique. We cannot thank Jane Grob, now TechnoServe’s Director of Regional Advisory Investment for West and Southern Africa, and Lola Rohde, Grants Manager in Mozambique, enough for this life changing experience and for their friendship! What was your experience as Fellows on the ground? Margarida: FinAgro is a project designed to provide access to finance and technical assistance to farmers in Mozambique through grants funded by USAID, thus enabling them to buy fixed assets and boost their businesses. My role was to support eligible candidates with their applications. In order to do so, I travelled north and south, visiting nearly all provinces of Mozambique. The people I met inspired me through the way they carried out their businesses with little means, but with the determination to thrive and an exemplary sense of community that enabled them to reflect their successes in the development of the region. I had a lot of fun engaging with the farmers and discussing the next year’s crops, meeting under a tree and hearing about their projects for the growing season, and listening as they explained plowing techniques. I learned a lot through this hands-on experience, and I have no doubts that I grew both personally and professionally. A few months after returning from the program, my team told me that eight candidates that I had helped apply to FinAgro’s grant were approved, and that they now have their very own tractor warehouse. The realization that I was able to contribute to transforming people’s lives was overwhelming! Alberto: My role as a Fellow supporting the FinAgro team was to help evaluate applications and design a marketing strategy for the second window of the program. Most of my work involved meeting with program stakeholders and assessing ways to improve the grant program. The team was truly fantastic. Working with FinAgro’s team, stakeholders and candidates was the most rewarding experience I had had in my professional career. I also had the chance to meet some of the approved candidates from the prior window of the program and to participate in a day that would change their lives forever, the day they received the assets they had worked so hard for and that would make their enterprises grow further. It has been wonderful to stay up to date on FinAgro’s recent developments: they have been able to reach even more people; partnerships we helped build have been strengthened; and the impact FinAgro was able to achieve in local communities has grown. Being a part of these accomplishments has inspired me to a point where I know my life has been changed forever. How has the Fellows Program impacted you and your careers/plans for the future? TechnoServe’s work has touched us deeply, not only because we identify with its mission, but also because it has instilled its values in us as well, that empowering people through entrepreneurship is an impactful approach to changing lives. TechnoServe taught us by doing, and we learned that engaging in business is the best way to act upon what we want to change in the world. During our time with the TechnoServe Fellows Program, we developed an even stronger interest in development, and it made us realize how we could make a difference in people’s lives by embarking on our own careers in this sector. Because of our time as Fellows we are both seeking to utilize our consulting experience within a development capacity. 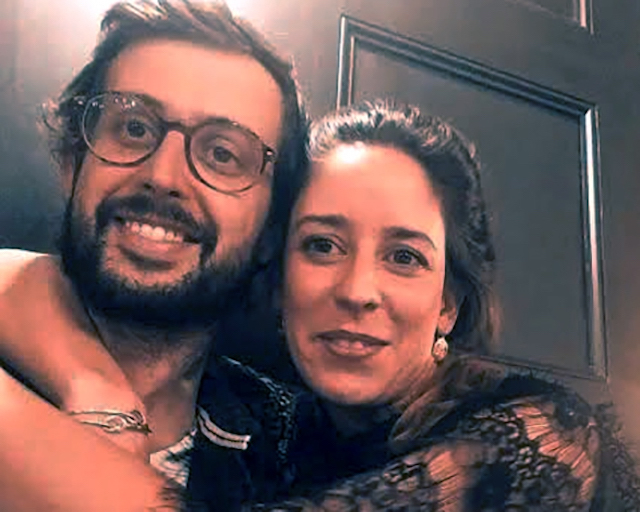 Margarida: Alberto has joined IESE Business School’s full-time MBA program, and I am working as a TechnoServe consultant. Initially I worked with the Strategic Initiatives team in Brazil, developing a project in sustainable coffee (Strategic Initiatives for Mother Parkers), and more recently I have started work in Colombia and Peru for a value chain and best practices analysis project (Colombian office for CAF and The Economist). Around every corner is a person you can learn from. It’s up to you whether that person has a positive impact on your life, so don’t miss the opportunity to meet people every chance you can: your team, every TechnoServe employee, the field facilitators, everyone. They will give you valuable advice that will enhance you as a person and as a professional who is capable of generating change.